My love of endurance sports developed slowly. In high school, I absolutely hated running. Avoided it at all costs. In college, I ran off and on, never keeping track of distance or time. I was doing it purely for vanity. The summer after I graduated from college in 2006, I was a room leader for Summer Beach Project with Campus Outreach in Myrtle Beach. I got back at the end of July and started looking for a job. To pass the days, I started running. I was incredibly out of running shape. I could make it a couple blocks before having to walk. I repeated that cycle (run until out of breath, walk to catch breath) over and over for 3 miles. Every day, I ran more and walked less. In a few weeks, I could run the whole thing. The girls I was living with that year decided to run a 10-mile race. I thought that sounded like a great challenge so I joined them. I ran that race – my first-ever – that November in 1:38:41, an average 9:52 pace. While I enjoyed that experience and continued to run, I didn’t do another race until May 2008, when Travis and I ran the Colorado Half-Marathon in Fort Collins. Even though Travis is a lot faster runner than I am, he ran at my pace and we finished at 2:30:46, which was my Half Marathon PR until 4/15/12. 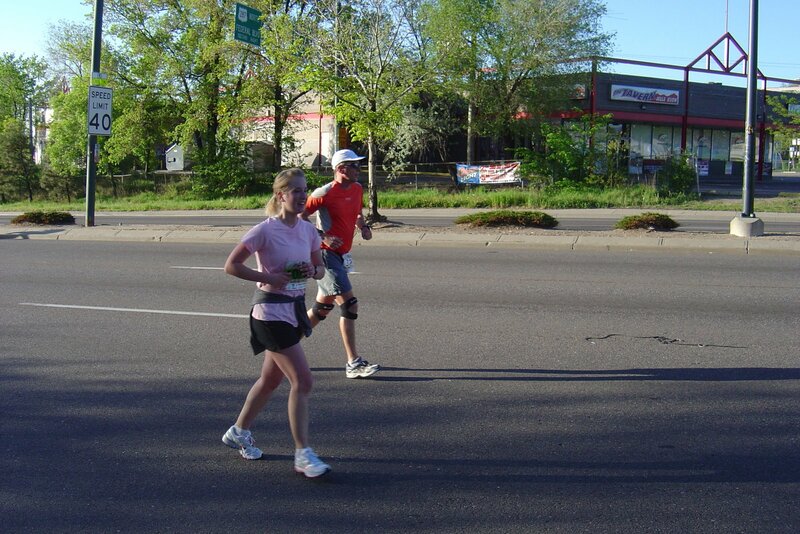 Soon after that, I ran the first leg of the Colfax Marathon relay, setting my PR for a 10K, 62:36. 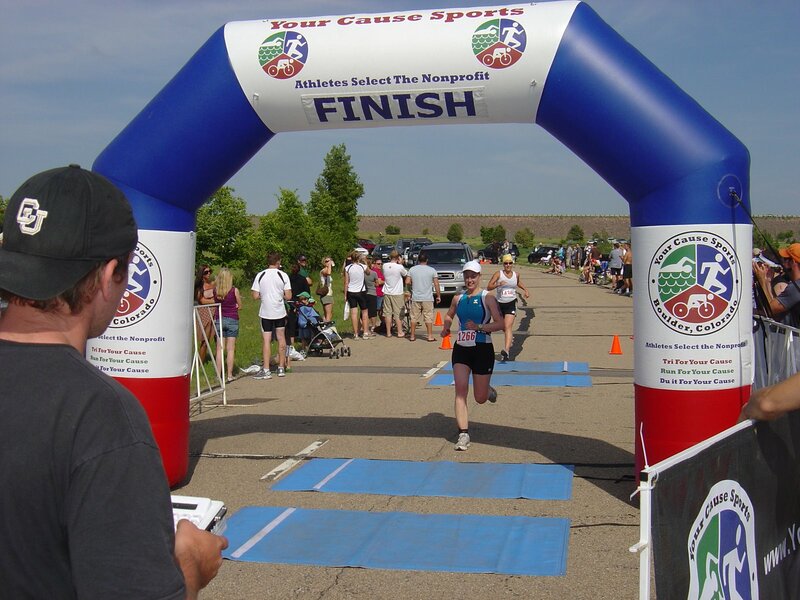 Then I took another break from racing, until I was talked into doing a sprint triathlon by my friend D. I did two sprint triathlons in 2009 – Your Cause at a Mile High in July (1:23:40) and Oktoberfest in September (1:43:59). By that time, I was hooked on endurance sports. 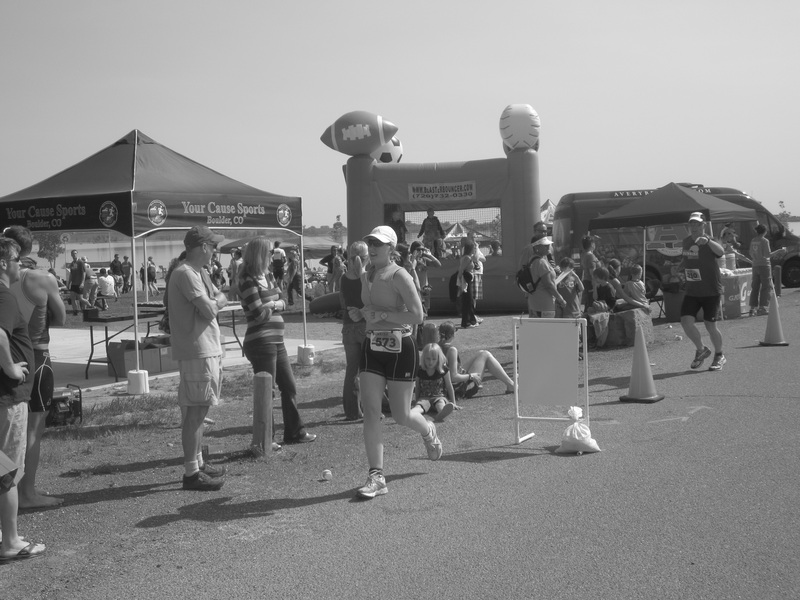 In 2010, I worked for Your Cause Sports, a non-profit triathlon company. 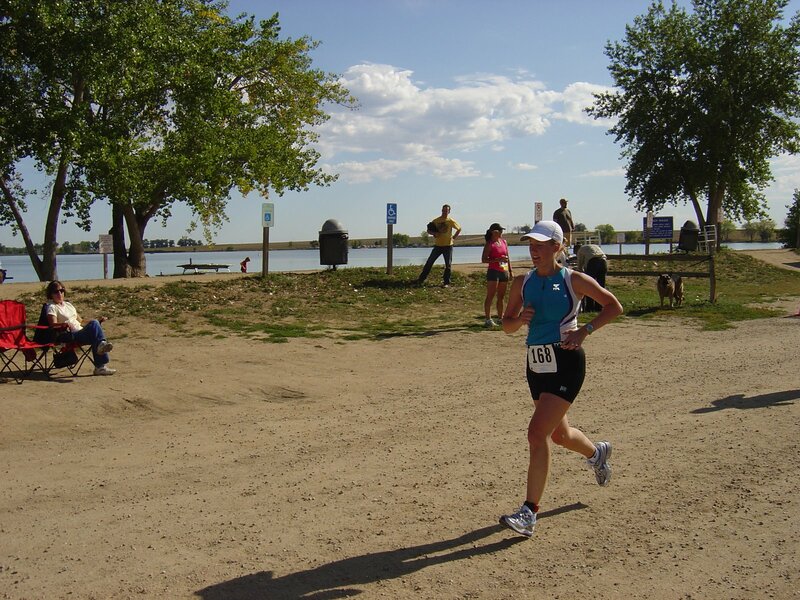 I worked at about 22 triathlons that summer so I didn’t get to actually participate in any, but I did do two half-marathons: Heart and Sole in Boulder (2:33:50) and Malibu Half-Marathon (2:44:44). I had been planning on doing the full marathon in Malibu but had to drop down to the half due to IT band issues (not enough strength training and stretching!). In 2011, I switched back to a regular office job, allowing me to compete in triathlons to my heart’s content. 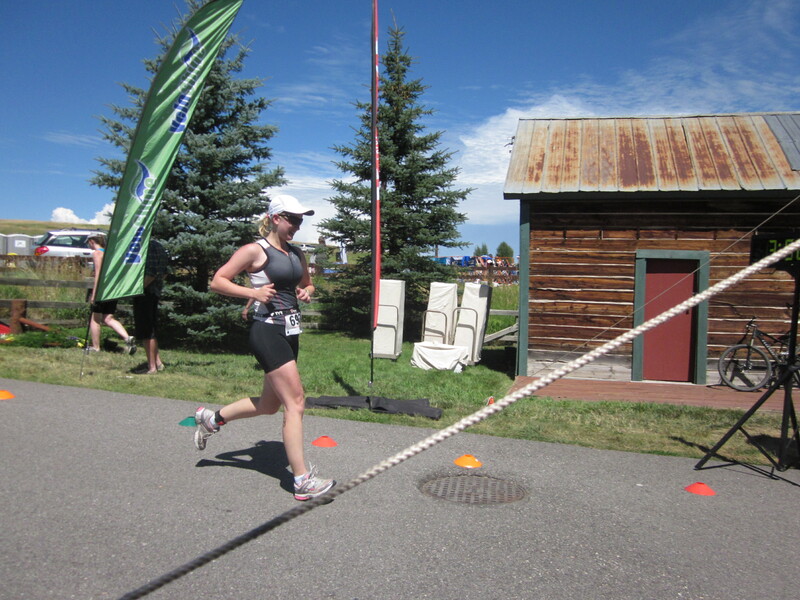 I did 3 sprint triathlons and my first Olympic triathlon in Steamboat Springs. In 2012, I re-tackled my marathon dream and ran the Mayor’s Marathon in Anchorage, AK, on June 23, 2012. Just a few months later, I discovered I was pregnant with our first child. So now I’m a mother trying to balance my love of endurance sports with breastfeeding and tummy time! My current race calendar and times are displayed on my blog’s home page and links to all of my race recaps are below.